Now when He had spoken, a Pharisee asked Him to have lunch with him; and He went in, and reclined at the table. When the Pharisee saw it, he was surprised that He had not first ceremonially washed before the meal. But the Lord said to him, “Now you Pharisees clean the outside of the cup and of the platter; but inside of you, you are full of robbery and wickedness. “You foolish ones, did not He who made the outside make the inside also? “But give that which is within as charity [disinterested benevolence], and then all things are clean for you. (Luke 11.37-41)To continue from the last eSight, this week I want to focus on the second reason that any religious system that places more emphasis and importance on performance-based outward behaviors rather than the realities of what is going on inside of the person’s heart is dangerous and spiritually and relationally destructive. Too often, these kinds of religious environments lead us to simply focus on the external things and trust that, if we keep at these things long enough, the inside will eventually catch up, but it never does. Let me explain. At its base, it really is a pharisaical kind of religion. If I just wash my hands right, if I just wash the dishes right, or if I just eat the right things, wear the right things, listen to and watch the right things, say the right things, and have the right beliefs about certain doctrines, then I’m OK with God and everything will be fine. In these religious environments, we are taught that if we just follow the rules and believe the right things, then we are going to be OK. It translates into a simple approach that says that the way to get right with God, the way to make sure you are loved by God, and the way to make sure you are saved is to just do the behaviors and believe the right things. Then you can know you are OK. Even now, I know someone reading this is saying, “But isn’t having the right doctrinal understandings important? Aren’t there intrinsically self-destructive behaviors we should stay away from?” And to that I would answer, “Of course.” But it becomes just as intrinsically destructive when we place greater emphasis on these things than on what is going on inside of people. It’s an outside-of-the-cup focus rather than an inside-of-the-cup focus. You can be doing all the right behaviors and believing all the right doctrines and still be empty and lost on the inside. Let me remind you that even the Devil himself knows exactly what the Bible teaches doctrinally. But this has no reconciliatory power between Him and our heavenly Father. This isn’t to say that doctrine isn’t important. I spend countless weeks each year helping people see the Father differently through a paradigm shift in some of people’s cherished “doctrines,” but notice that the emphasis is NOT to simply change someone’s doctrinal position but to help them SEE the heart of the Father so that, by His love for them, love IN THEM can be awakened on an internal, heart-relational level. It’s a completely different emphasis and focus. What I’m referring to in this eSight is a religion of externally focused behaviorism or externally focused intellectualism rather than a relationship in which what matters most are matters of the heart. A focus that is directed at what is on a person’s inside? THAT is what matters. Now, I do want to be honest. Externally focused, performance-based religion has been very popular throughout history and especially in my own denomination because it does have certain advantages to it. First, it makes you feel secure. It’s doable. It’s tangible. Most religious people’s mindset is one of fear, and they are just asking, “Tell me what to do, what to believe, what to think, just put it down on paper, and if I can do that, then I know I am going to be OK.” It’s so concrete! It really is appealing to most people on a religious level. Second, it has another advantage. If I really believe that if I just do the do’s and don’t do the don’ts and believe the right things, then that means that I don’t have to worry about all the garbage inside of me, all the nasty things inside of me. I don’t have to go deep. I’m given a false sense of assurance that everything can just remain at the surface level (this can produce very religious people who are, in reality, just functional atheists, with little or no real kingdom living going on inside of them). An externally focused religion affords me the privilege of having assurance without having to worry about letting God heal what’s going on inside of me. Last week, we discussed how, in these kinds of religious environments that put a premium on religious externals, there are a lot of people who feel really righteous for doing the externals and believing the right things, but inside, they can be full of all sorts of ugly things, like gossip, bigotry, racism, or relational dysfunction, but they don’t even notice that because they are conditioned not to notice that stuff and, in fact, they are rewarded for not noticing it or hiding it, and they believe that everything is OK as long as the outside looks correct. They are conditioned to look at external things. I know these environments well because I spent the first few years of my own journey following Jesus in one of these environments. Some of you have heard me talk about my suspender days, so I won’t go into it here. As I shared last week, the first reason I believe that these religious systems are dangerous is that, in a system like that, you are rewarded for being the best pretender or actor, or for hiding. And I will add this week that, in these environments, usually, the ones who rise to leadership are those who tend to be the most shallow and least prone to introspection, and they can be very internally dysfunctional. I know this first-hand because, if I could “confess” my “faults to … another” for a moment, I was one of these kinds of people. God continues to have to save ME from the temptation to be, if I can be honest, an externally focused, performance-based Pharisee rather than letting Him do His healing work in me on the inside. I believe that God is calling all of us to greater introspection. And if you submit to His healing work, one of the byproducts is that you begin to see through religious facades more readily and you yourself become more passionate about an inside-of-the-cup experience. This also, in turn, changes the way we relate to others. We begin to care less and less about what’s on people’s outsides and begin to focus more and more on what’s on people’s insides, knowing that THAT is what really matters most. But now I’m going off on a tangent. Maybe I’ll write more about that next week. I submit that the behaviorist, externally focused, performance-based view of a God who bases everything on the rightness of your beliefs or behavior is a sub-Christian view of God. And THIS picture of God doesn’t administer life to anyone who holds it. It doesn’t bring the kingdom of God inside of you. You can do all the right behaviors and have all the right beliefs, and even if you do all of these things perfectly, if this is your picture of God, on the inside, you are still going to be empty! This is the second reason I believe that these externally focused environments can be so spiritually damaging. This kind of view of God doesn’t bring you the fullness of life that Jesus came to bring you. It doesn’t bring the joy of the kingdom; it doesn’t bring the peace of the kingdom. And it doesn’t bring to a person the “power” of the kingdom. It leaves you empty. And the reason is simple. You were created and I was created to experience and derive life from unconditional love, unconditional worth, and unconditional significance. Our hearts, the inside of our cups, need to feel love that not based on what we believe or how we behave. We need – we were created – to feel significant, to feel worthwhile on the inside (in our hearts) in a way that only God can give to each of us. But, you see, if I am doing certain things or believing certain things to feel loved, to feel significant, to feel worth, to feel “accepted” by God, then my heart knows that what is really loved and what is really significant and what is really worthwhile is NOT me but the things I did and things I believed to feel loved, to feel worth, and to feel accepted. The worth and the love and the significance attaches to what I do and what I believe to get it, but it doesn’t attach itself to ME! The inside of your “cup,” your heart, can NEVER get full, never feel fulfilled, never feel satisfaction, never feel truly loved, and no matter how much you do and or how right your beliefs are, you will always feel spiritually and relationally unfulfilled and EMPTY! Your heart continues to starve and die, and the hunger inside of you, never being fulfilled by your externally focused, performance-based picture of God, now turns to other, sometimes very self-destructive, things to try to find some fulfillment and some “wholeness.” (This is why very high-profile conservative religious leaders sometimes are caught doing some very stupid and hypocritical things.) This picture of God or God’s love never really nourishes the heart because God’s love and acceptance is always conditioned on externally focused, performance-based THINGS! When you do things and your love and worth and significance is conditioned upon what you do and the rightness of your beliefs, then, again, all the love, worth, and significance attaches to those things and none of it attaches to you; none of it really gets to your heart. NONE of it nourishes your heart and really changes you from the inside out! This week, let me close by simply saying that the “outside-of-the-cup” picture of God always leaves you empty. But as long as you are under the delusion that the way to get love, worth, and significance is to focus on the outside of cup, you’ll keep on trying to perfect your behavior or become more stringent or accurate in your beliefs (splitting theological hairs over really insignificant things in the scriptures) because you believe that, if you can only get it right, then you will feel full and significant, but it never, NEVER, pays off. You never enter into the fullness of the life and the love that God made you for. This picture of God is a demonic lie, straight from the Father of Lies, and Jesus came to destroy his works and inventions. Jesus came to show us what the Father is truly like. Jesus came to dispel the soul-destroying, heart-depriving darkness that had enshrouded our understandings of God. Jesus came to bring us life, life unlimited, through revealing to us the true picture of what the God of this universe is really like. I know I’ve given you a good chunk of things to ponder this week. I pray, as you do, that the kind of God we find in the person of Jesus Christ will truly bring worth and significance to your soul, love to your heart, and change to your life. We’ll continue with the third reason next week. I think next week’s will be shorter. Whew. Keep living God’s unconditional love. Go build the kingdom. Then the Lord said to him, “Now you Pharisees make the outside of the cup and dish clean, but your inward part is full of greed and wickedness.” Luke 11:39First, let me say thank you for all of your feedback on the weekly podcasts, and second, let me apologize for taking last week off. Last Monday came at the end of a very busy week, during which I was engaged in giving 20 presentations in one week at the Mountain View Camp Meeting here in West Virginia. And let me say, boy, was it a rush! So many testimonies of how a fresh perspective of God’s love was transforming things for folks from the inside out! I was so wiped out at the end of it all, but man, was it worth it! So thank you for your understanding of my not writing an eSight or publishing a Podcast for last week. Adventist culture has, once again, especially been impressed upon me. I want to make sure though that you understand that I’m talking about our culture. I believe in our message. Our biblically based message is why I am a part of our movement as a denomination, but our culture over the last 150+ years has developed some very dangerous elements that I would like to address. I do not think that it is by accident that in the context of my summer, visiting camp meeting after camp meeting, that our loving Father has directed my attention to these passages. In the next few weeks, I’d like to share some of the thoughts He has been impressing upon my heart because I believe they have the potential to bring the same healing to your heart that they have brought to mine. You see, I, too, have been burned by the unhealthy elements that have developed among us as a people. I pray that the same positive healing and insightful experiences I have had through these passages over the last few weeks will also ring true for you and bring you positive results as well. So, with out any more explanation, here goes. The passage is Luke 11:37-54. We’ll begin right at the beginning and go through this passage for as many weeks as it takes to get through the relevance each passage holds for us today. 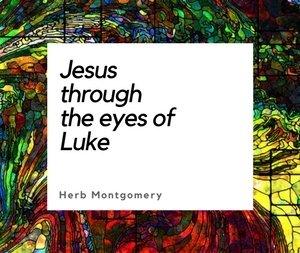 The placement of this event, in Luke’s orchestration, is right after the accusation by the Pharisees that Jesus was casting demons out of folks by the power of the Devil. Immediately following, in Luke’s purposeful design, he tells this story. A Pharisee invites Jesus to dine, but then Jesus does something very purposeful. He obviously and blatantly skips washing His hands. THIS, although there is NO Old Testament law regarding hand washing, had CULTURALLY grown to be held as equivalent to the law. Camp meeting after camp meeting across this continent drove home to me that we, too, are not immune to these traps. We, too, have things that have become in our culture of Adventist tradition on par with what we consider to be the Law. Depending on which area of the country or continent you are visiting one of our camp meetings, you will find that each area has its own cultural taboos. This should be a wake-up call for us to think through some of the elements of our way of life. It is healthy to reassess ourselves every so often to see whether we are ascribing more significance to some things in our “lifestyle” than what they truly and intrinsically deserve. There are three points I want to quickly make regarding Jesus’ response to the Pharisees’ head-scratching “marveling”. First, I think it is important to note, given some of the folks I have bumped into in my travels this summer, that we cannot derive from this story an example of how we are to relate to someone who is hosting us as a guest. Honestly, if someone invites you to their home for dinner, and the first thing you do is strike up a pointed conversation concerning your host’s hypocrisy, well, in short, you are being rude! The Bible tells us clearly that love “does not behave rudely” (I Corinthians 13:5). Second, this story takes place in a much broader context and culture. Jesus was a prophet in Israel. He was calling to account a leader in Israel. This is never the way Jesus calls anyone else to account. These words of Jesus and His manner here are very unique to what we normally witness in how Jesus related to people. Here though, we see Jesus taking up His God-given role of prophet and calling the leaders of Israel to accountability. This is what prophets did in Israel. So this again is a unique situation. Unless you are a prophet and the person you are relating to is in leadership, none of us have any right to use this story as an example in methodology or justification for being religiously rude. Third, and I’ll leave you with this until next week, the reason Jesus so blatantly skips washing His hands in the plain view of this religious leader and provokes this leader’s question is so that Jesus could call to attention the extremely harmful characteristic of a religious system that places more emphasis on external performance-based behavior than on the internal matters of the heart. Let me repeat that. There is something very spiritually damaging in the environment of a religious system that places more emphasis and importance on external performance-based behaviors than on what’s really going on, on the “inside” of people. Why is this kind of focus by a religious system so spiritually damaging? Why is it so relationally destructive to communities and fellowships where people are called into healing relationships with God and each other? There are three significant reasons as to why this type of religious system is so intrinsically dangerous to one’s spiritual health. It’s with these three reasons that we will pick up next week. Keep living in love. Keep building the kingdom.